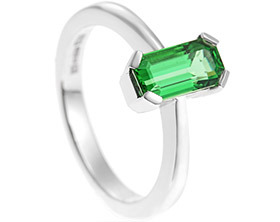 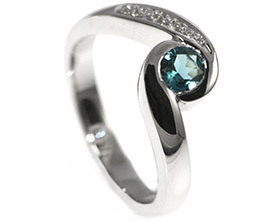 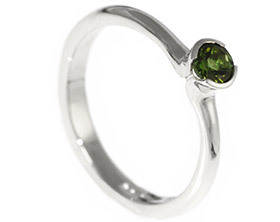 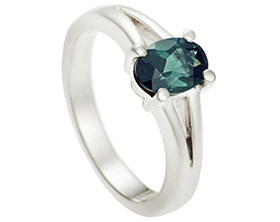 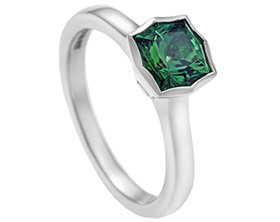 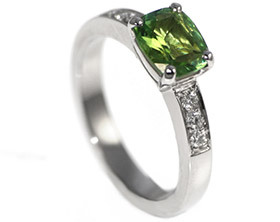 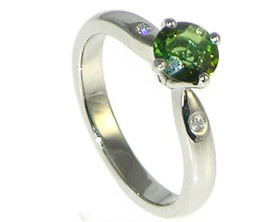 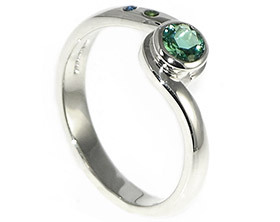 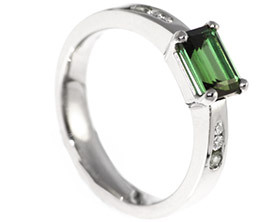 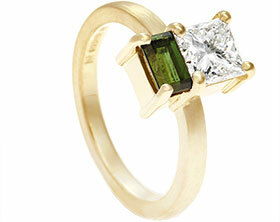 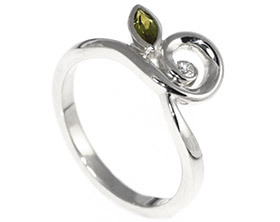 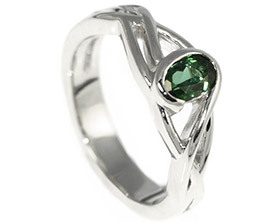 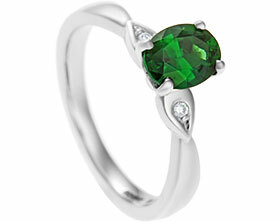 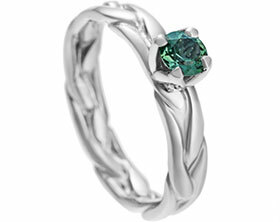 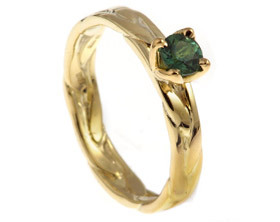 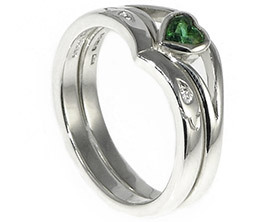 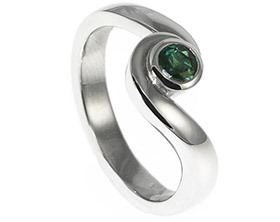 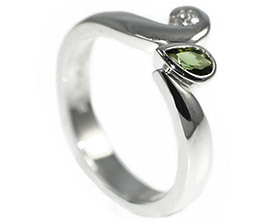 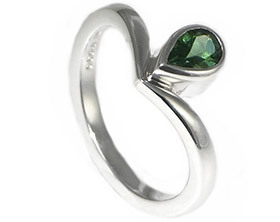 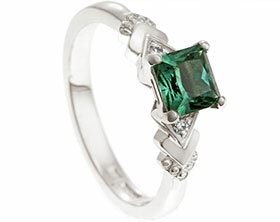 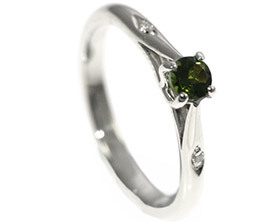 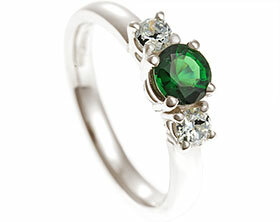 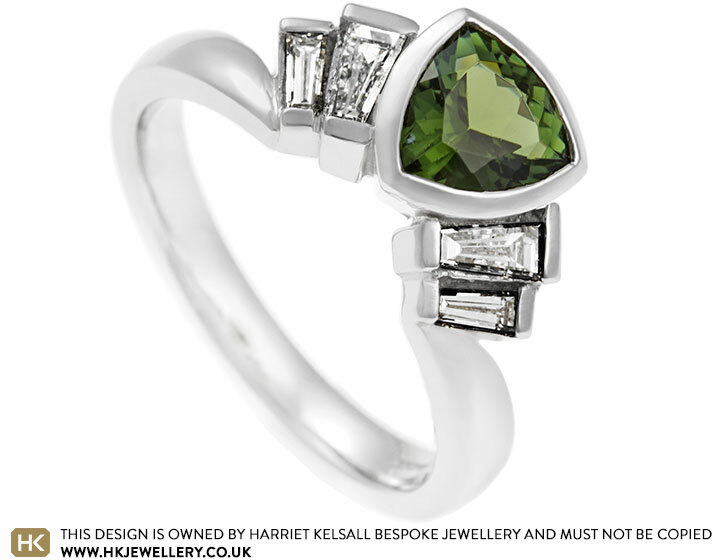 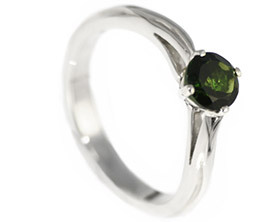 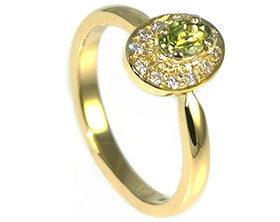 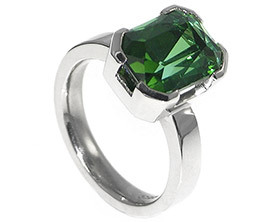 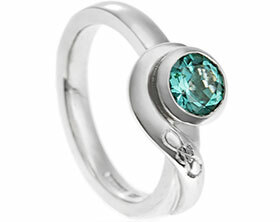 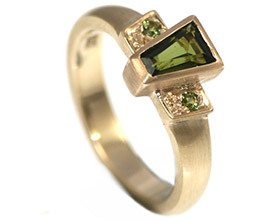 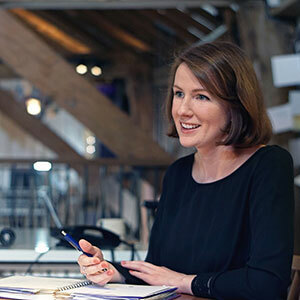 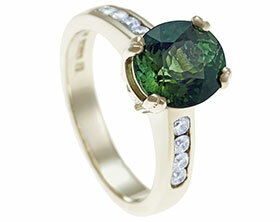 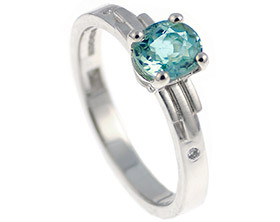 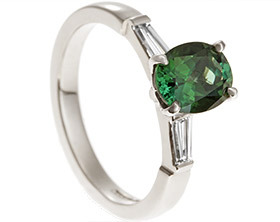 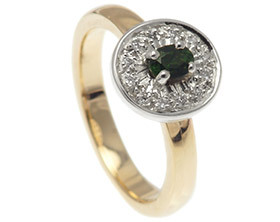 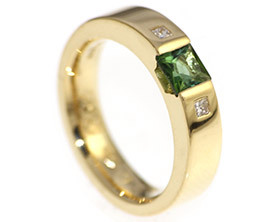 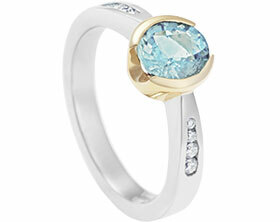 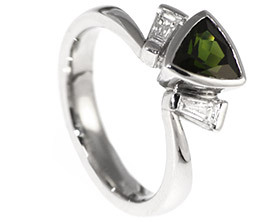 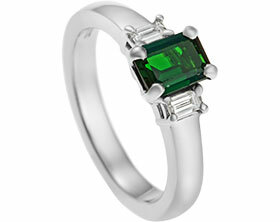 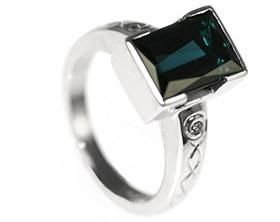 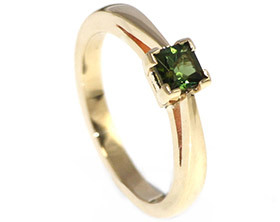 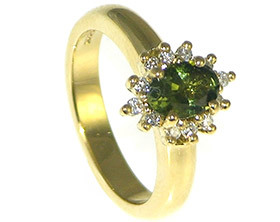 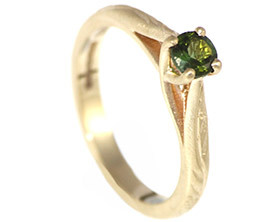 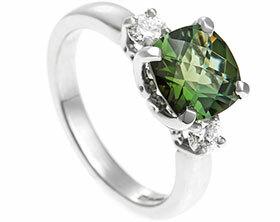 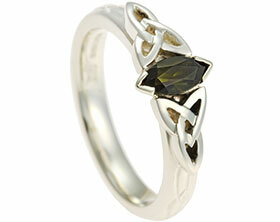 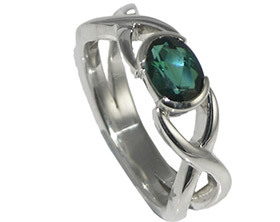 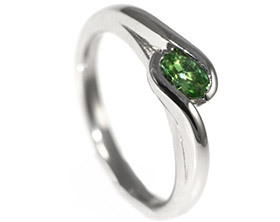 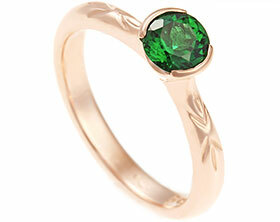 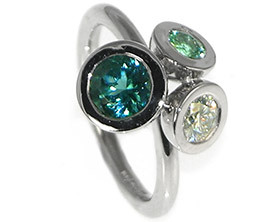 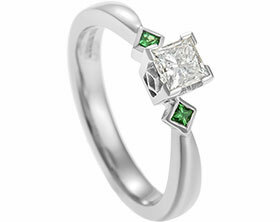 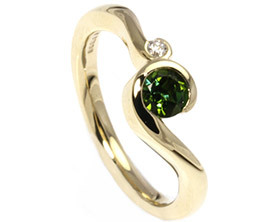 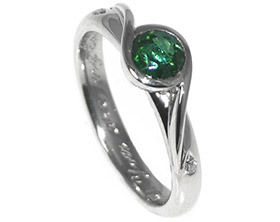 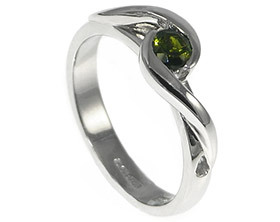 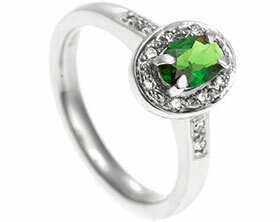 As Lucy’s birthstone is tourmaline and her favourite colour is green, Frankie thought the stone would be perfect within a bespoke engagement ring. 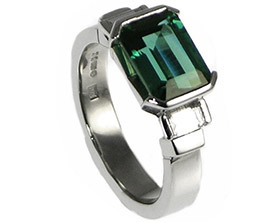 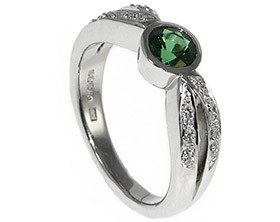 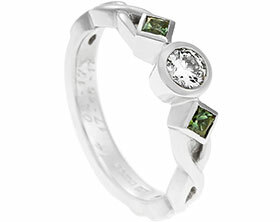 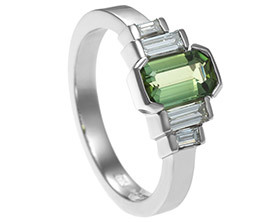 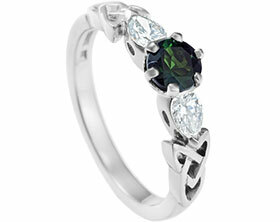 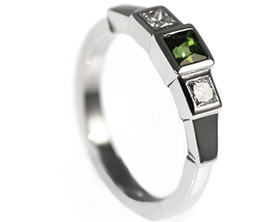 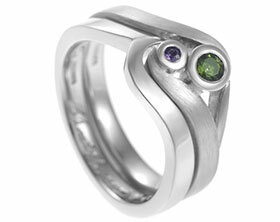 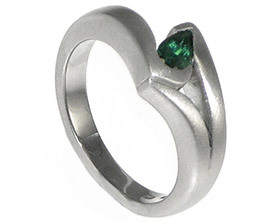 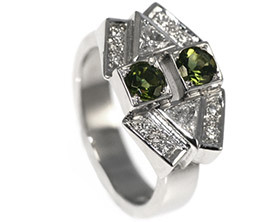 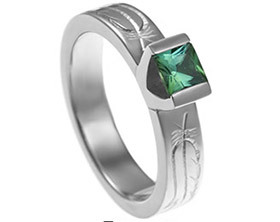 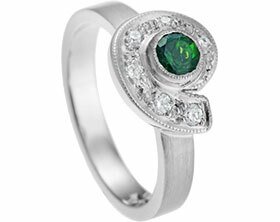 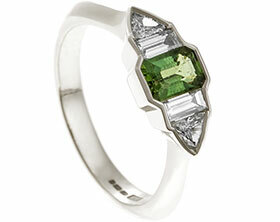 A 0.68ct trillion cut green tourmaline is the focal point of this platinum design which is based upon Art Deco design influences. 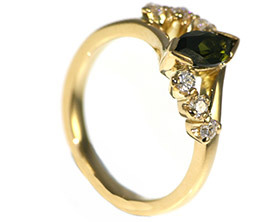 The central stone is flanked by tapered baguette cut diamonds which have been end only set in a fan formation- a shape that is synonymous with the 1920s period. 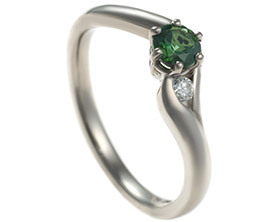 A polished finish completes this unique yet timeless design.